If you ask any mother, they will tell you that SOMEONE prepared them for the “Terrible 2’s” – I blogged about it. More than once. If you’re a new mother take this as a warning: 3 is 100x’s worse than 2. It’s hard to believe that come this Friday, Quinn will be 3. It seems like just yesterday I was complaining about being pregnant and couldn’t wait for it to be over! 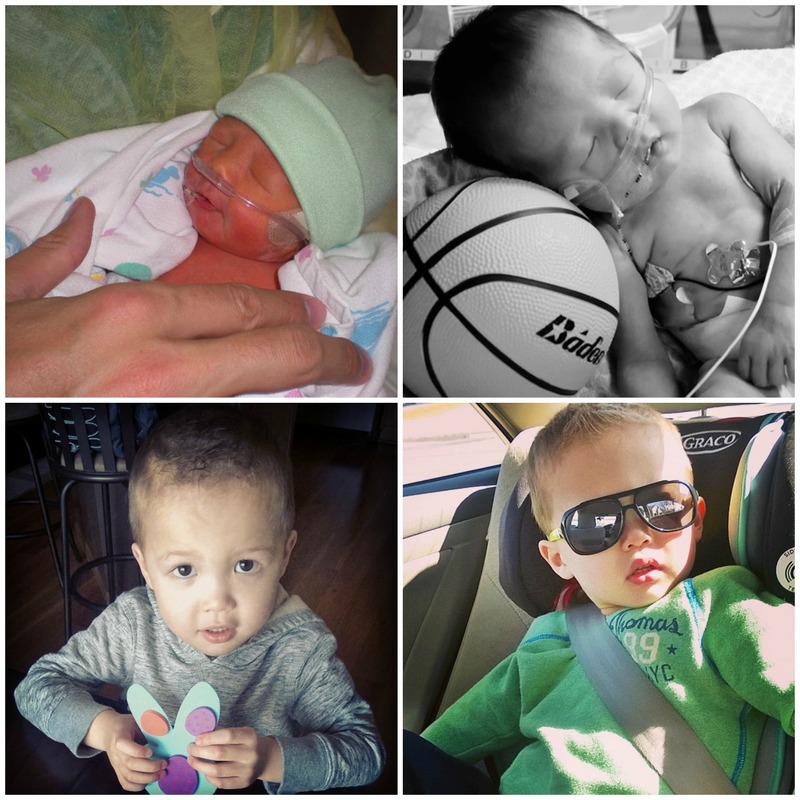 He’s potty trained – 2 days and 2 accidents later my world changed. No more diapers, wipes or Genie refills. It’s literally a game changer. He’s actually LIKES watching movies – It took over 2 years for him to be interested in sitting down to watch anything. He can entertain himself – Long gone are the days of needing CONSTANT supervision/attention. He can carry on a conversation – It’s actually fun to be able to talk to your kid. He’s creative – When he turned 2, we bought him this ridiculously expensive play kitchen that I don’t think he’s really realized was there until about 2 months ago. He’s polite – He actually caught on to saying “Please” and “Thank You”. He doesn’t “get into things” – We never really needed to child proof our house. The kid doesn’t seem to care about getting into things he shouldn’t. He’s his father’s son – We always hoped he wouldn’t get my height. So far so good. He doesn’t ask for anything – We can go into Target and he’ll usually say, “I want a toy” but if we leave with nothing, he forgets almost immediately. We can fit all of the “toys” he owns into a small Rubbermaid. He’s potty trained – Although this is a weight lifted off our shoulders, he now has to use public restrooms. In all instances up to this point he has touched the toilet bowl which almost made me vomit the first time I saw it. My first public restroom incident included a full bathroom of women and him saying, “I have a small wiener.” I let him know this is not something he should say out loud or advertise. At least it got a laugh. Because he’s so comfortable with being diaper free, he also dropped trou in front of our real estate agent and announced he had to go potty – pull it together. He actually LIKES watching movies – This would be ok… if it weren’t the same movie OVER and OVER and OVER again. The kid gets stuck on one and will only watch that one for at least a week if not 2. If I have to hear those voices or ANY song from “Frozen” one more time I might throw myself through a window. He can entertain himself – It’s great when I can take a quick shower without worrying that he’ll cut the dogs hair or something equally as naughty but when he’s sitting there and watching a movie on the couch, I’d prefer he not have his hand down his pants. That wasn’t the “entertaining” I was hoping for. He’s creative – There’s only so much “Let’s shoot the pretend buck in the corner” I can play in one day. He’s polite – Unless it’s to his parents. He doesn’t “get into things” – The exception is food. Then it all ends up on the floor to be eaten by my 7 lb. dog who throws it up. Those of you who know me and my neat freak tendencies can about imagine how much I love this. He’s his father’s son – Although I didn’t want him to be short, the kid is already over half of my size and he’s just turning 3. He also inherited Jared’s dance moves and they haven’t seemed to improve. At all. He’s loving – In a completely manipulative way. After being King of all that is Defiant, the kid can tell when he needs to pull a fast one and gives us a hug and kiss followed by, “I love you” or “I’m a lucky boy!” Tricky that one. He doesn’t ask for anything – This hasn’t become an issue in public/at a store. At home it’s a different story. If he wants a snack/candy, he will do whatever he can to break us until we give in. This might be called “weak parenting” but I have zero tolerance for “annoying”. There are other things that are positive and negative – the kid loves music. But just like movies, he gets stuck on one song and beats it into the ground. While my parents probably aren’t thrilled that my almost 3 year old gets in the car and says, “I want to listen to Porsche” (by Nelly… yeah… the rapper not the pop singer) which isn’t completely child friendly, they get us back. He can now sing almost every song from “The Sound of Music” – This is not Jared’s pick. Not long ago he licked a public booth. At Space Aliens – the mecca of germs and pink eye. We almost left him there. He plays well with other kids. Unless we’re talking about his daycare girlfriend – they have a love-hate relationship. I always look forward to the end of day report to see if they were best-friends or if Quinn hid her utensils at lunch or comes home with a war wound from one of their “marital spats”. If I didn’t know her parents, I’d probably think this wasn’t funny because the last thing I need is to have “that kid” that’s mean to girls. He loves basketball. He is trying to dribble and Jared has taught him how to shoot with proper form and follow-through. The negative, the kid couldn’t catch the Universal Studios globe if you threw it at him and has issues staying on his feet. We have a long road ahead. So back to my original point – 3 is worse than 2. This is the first time I’ve actually seen Jared lose his temper. It’s usually him telling me to settle down. Thankfully, it seems like only one of us loses it at a time. We tend to be on opposite schedules which makes for semi-functional parenting. On the up side, we are so blessed to have a healthy and overall happy kid with extreme mood swings. I know this is all part of the life-cycle, but if possible, I’d like to bypass this. Maybe we’ll just skip to 4….